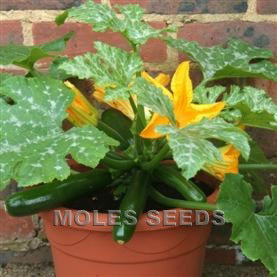 A very compact variety, making it ideal for use in containers and pots. Spine free plant. 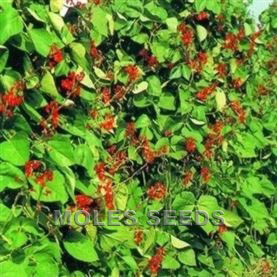 Produces a heavy crop of dark green, standard sized fruits. Can be used for high density plantings; low susceptibility to wind damage. The courgette crop has recently benefited from the increased interest in gourmet cooking. Courgette flowers and yellow fruited varieties also fulfil a specialist demand from the restaurant market, while recently introduced top quality round courgettes add extra interest. Very prolific, cost-effective croppers. Can be grown early or late under glass to extend the season, when there is a price premium. 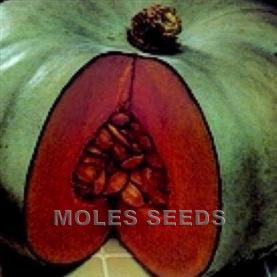 5-7 seeds per gram. Sow April-end of May/early June, at 3.5-5kg per hectare. Space at 60-120 by 90-150cm, giving a plant population of around 5,000-18,000 per hectare. Harvest from July onwards. The majority of the varieties listed as courgettes can also be used to produce marrows, however we recommend the use of the varieties listed for marrow production to acheive the best results.